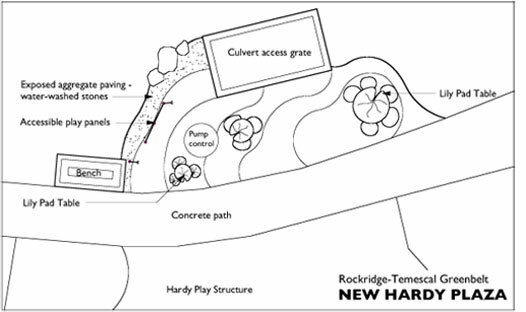 Jennifer worked with FROG (Friends of the Greenbelt) as a volunteer project manager for the development of Phase II of the Rockridge-Temescal Greenbelt, a well-used and loved linear park in North Oakland (including community-built playgrounds designed by Robert Leathers). Working with community members, she assisted with fundraising, designed and managed construction of the lily pad plaza, managed construction of the park kiosk (built by volunteers), and worked closely with Friends of Oakland Parks and Recreation, MIG (the landscape architect), the City of Oakland, and the Contractor to oversee park improvements including swings, landscaping, and pathways. 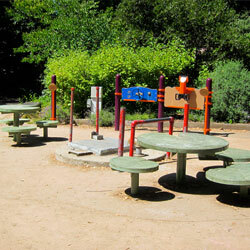 Jennifer also worked with Oakland’s Public Art Program and local artist Mark Brest vanKempen on the installation of interpretive art, highlighting the history and ecology of the Temescal Creek area. 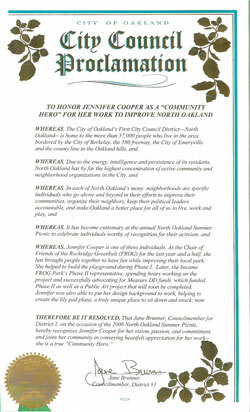 In 2008 Jennifer was honored by the City of Oakland as a “Community Hero” for her community building work on the Greenbelt and as Chair of FROG.